This drafting chair is distinguishable mainly by its extra height. 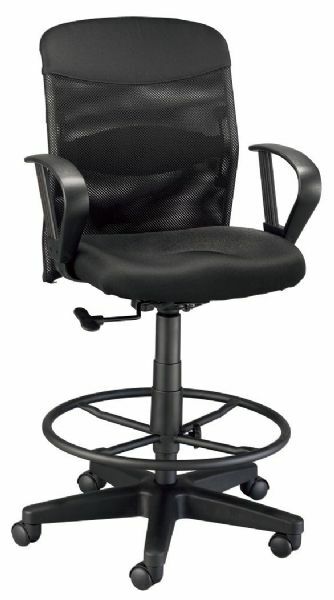 * It comes complete with armrests pneumatic height adjustment from 24" to 28" and a 24" diameter reinforced nylon base with hooded casters and a 21" black foot ring. 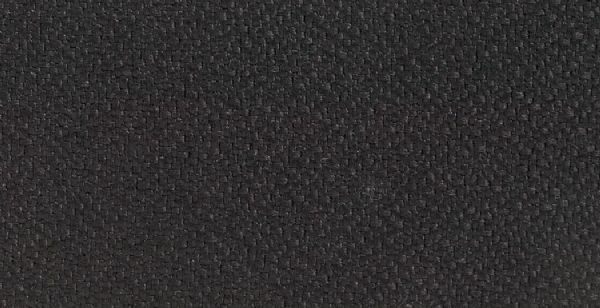 * The extra-thick molded foam seat cushion is 18"w x 18"d x 3" thick. 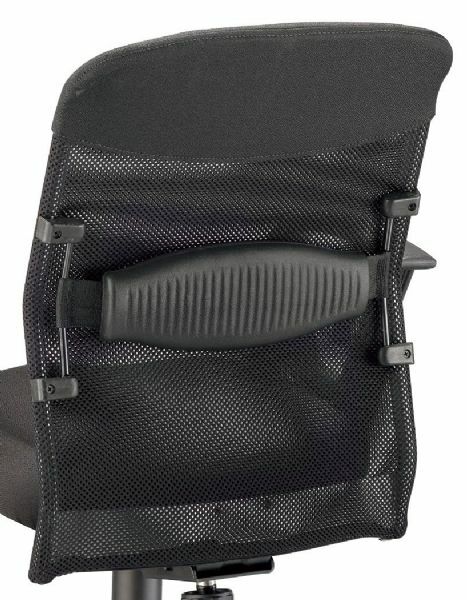 * The vented mesh backrest is 18" wide rises 18" above the seat and is depth adjustable. 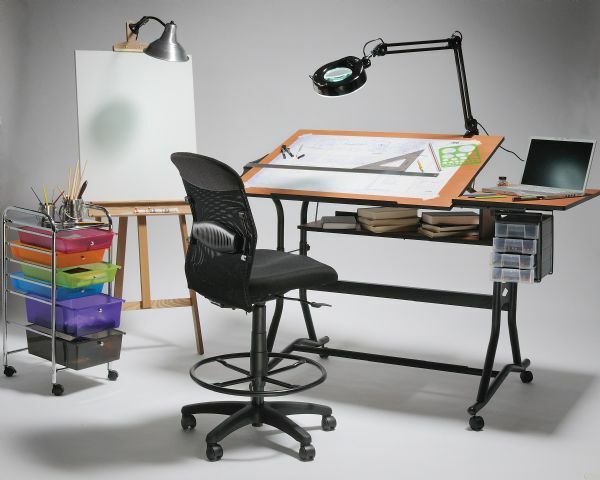 * This model is a drafting height chair and has no tilt or rock function. 25" x 25" x 13"